Each year, The Block Association & Upscale Society host the Annual "Fashion 500" Gala to bring attention to the eye catching and extraordinary contributions made by fashion boutique owners, media/communication pioneers, designers, stylists, bloggers, editors, photographers, models, hair stylists, platform creators and makeup artist within the NYC Fashion scene. 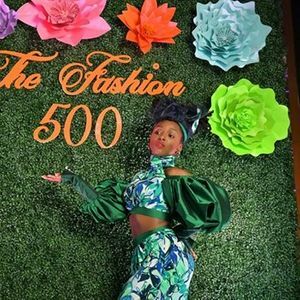 Now in its tenth year, the "Fashion 500" Gala has become one of the most anticipated Fashion-focused events in New York City. We invite you to express yourself in the finest fashion attire and join us on Sunday April 28, 2019 as we celebrate ten years of honoring the best in Fashion. Your support is integral to achieving a successful Gala and we look forward to officially welcoming you to our community. Your tickets will grant you access to the red carpet, pre-show reception, and brunch. This event will include a VIP reception, open bar, buffet stations, award presentation, keynote speakers, and live music followed by an After-party.